The course is aimed at graphic/web designers with 2+ years experience (page layout, colour, typography, visual communication). Course is in English. In this course, we will focus on brand-building in the context of the user experience (UX). If you look at the most popular brands in the digital field – Instagram, Uber, Dropbox etc – they are all built on a user experience design. Great designers justify every decision in their design process in the interests of the best possible final product. If you need to justify your ideas and methods, you need to know the answers or solutions and that requires challenging yourself and asking the right questions. Our main topic will be understanding the user – what the user sees and how they feel when interacting with your product or service. How to make yourself as visual as possible? How to see these blind spots? These are places where we can lose our customers because we can’t understand why they don’t see how things are working. We will also talk about how to ask questions. Questions are the main tools for the designers. If we don’t collect any data from our users, we make assumptions about what they like and want. When we make those assumptions, we begin to design for ourselves, not our users. We shouldn’t forget we are not our users. In our lecture, we will talk about how UX is the future of branding. We’ll start from the beginning and talk about the main principles and differences in branding and UX. Has basic understanding of the different UX tools. Assessment: the course ends with design concept presentation (pass-fail evaluation). A clear understanding of the principles and benefits of good UX and how to apply it to your design. Supervisor: Jaanus Sakkis has been a member of Estonian Association of Designers for 9 years. In that time he has consulted organizations all over the world in branding, user experience design, graphic design, and in communication! field. His clients have been EstBAN (Estonian Business Angels Network), LeapIN (startup), Lingvist , CCDCOE (NATO Cooperative Cyber Defence Centre of Excellence), Startup Estonia, SEB (bank), Tera Ventures (investment company) and Superangels (investment company). 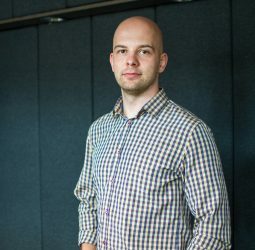 Currently he is a lecturer of user experience design & branding in 3 universities – Estonia Academy of Arts, Estonian Entrepreneurship University of Applied Sciences and Estonian Business School. Cost: 490 €. Price includes breakfasts, lunches, refreshments throughout, course materials, certificate of completion. In addition to the general required materials, candidates are expected to submit a letter of motivation explaining why they are applying and what is their experience with User Experience and Branding so far (max A4). Participants are expected to bring their own sketchbooks, markers and laptops.